Serum and urine cytokines were analyzed in children with hemolytic uremic syndrome (HUS) and thrombotic thrombocytopenic purpura (TTP). Interleukin-6 (IL-6) was elevated in the serum of 33 of 35 children with HUS (94%) and in 2 of 2 children with recurrent TTP. 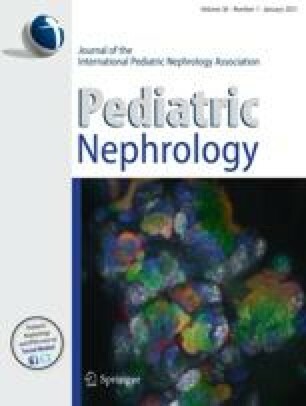 Serum IL-6 was higher in children with HUS who developed anuria, extrarenal manifestations during the acute phase of illness and/or chronic renal sequelae. Tumor necrosis factor-α (TNF-α) was detected in the serum of 7 patients with HUS (20%) and 1 patient with TTP. IL-6 and TNF-α were elevated in the urine of 4 of 4 children with HUS and 2 of 2 children with TTP. Urinary levels were higher than serum levels, suggesting local production of cytokines in the urinary tract. Sequential serum and urine samples showed that IL-6 levels varied with disease activity. IL-6 and TNF-α were not detected in the serum (n=25) and urine (n=15) of healthy children. We conclude that IL-6 in urine may be used to monitor disease activity in HUS and TTP.